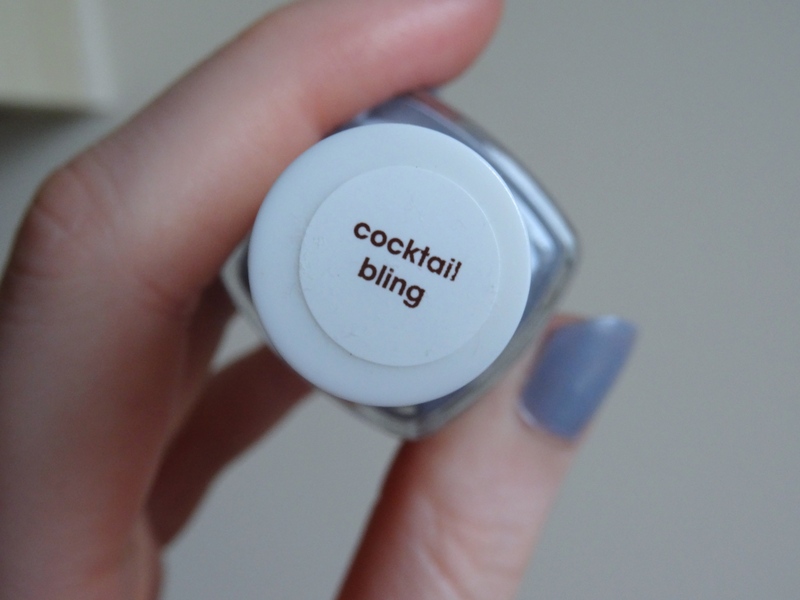 Here is Essie’s ‘Cocktail Bling’ nail varnish – I go through colourful, bright phases and the times where I want a more neutral, dull palette. 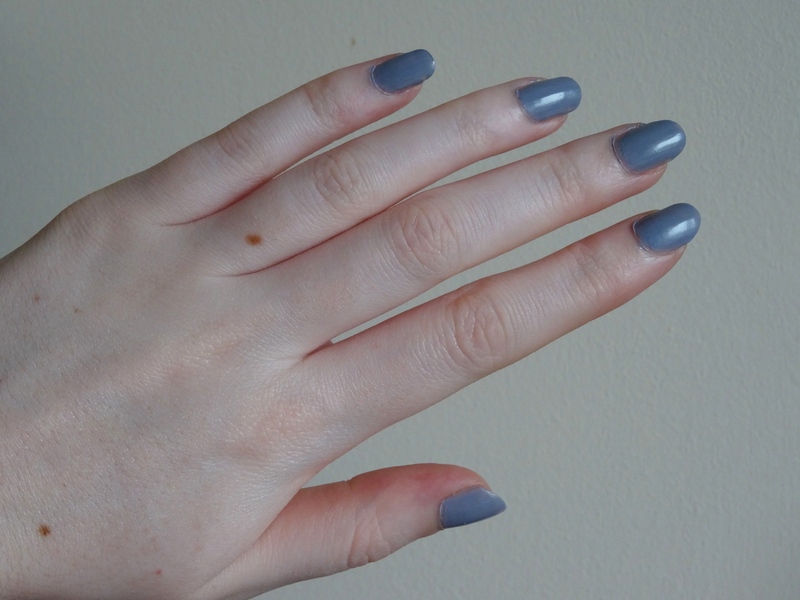 When I mean dull or neutral, I’m speaking grey, toned down blues/turquoises/berries and then the nudes. I wanted a new colour that will go with anything and not be too outstanding. 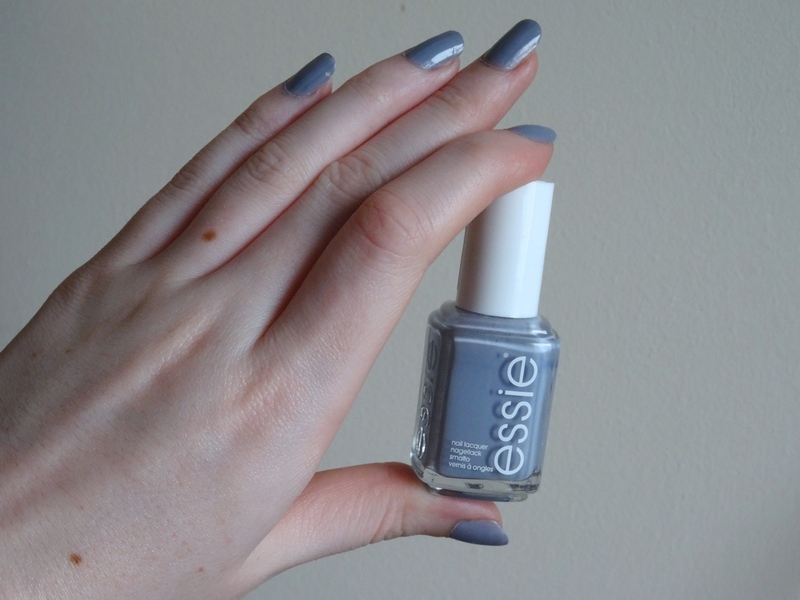 This is a perfect grey shade, which has a slight blue undertone/tint to it – it’s my ‘slap on’/’go to’ nail polish – I love it! 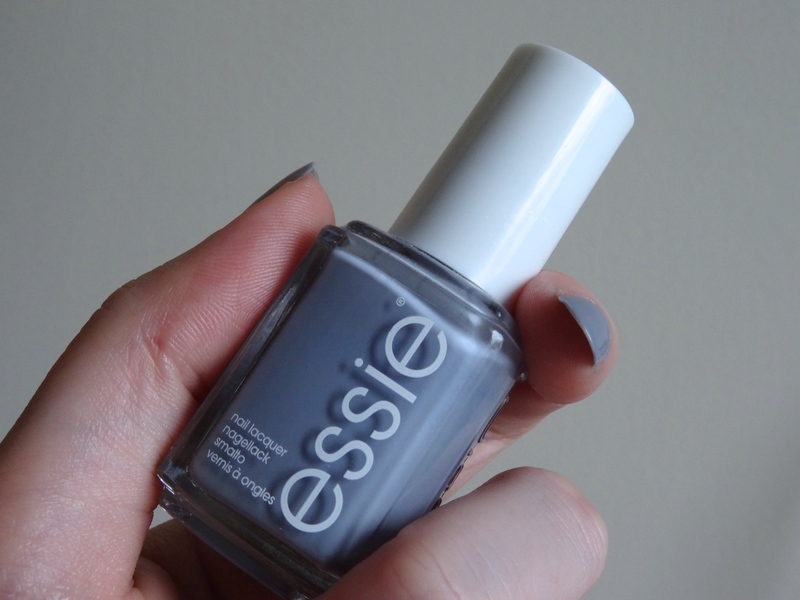 I absolutely adore Essie Nail Varnishes, although they’re £7.99 each I wouldn’t usually pay that for nail varnish as I buy so many – but Essie are definitely worth it! I can go on holiday to Florida, put this on before I leave and one and a half weeks later, I still have a few small chips on three nails! I had this in Boots when the cosmetics were 3 For 2, but I recently went onto Fragrance Direct for a quick browse and I found that they have at least 25 colours on there now and this is in there – all a crazy £2.25 each!!! (Instead of £7.99 each in Boots). 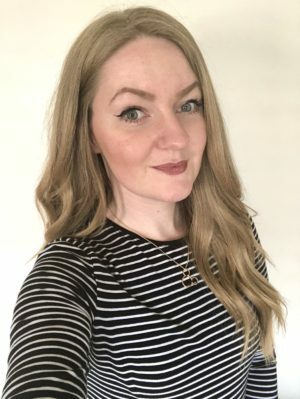 I have bought many products from Fragrance Direct and I would definitely, definitely recommend them to everyone! They have so many brands, which are about 70% cheaper than Boots, Superdrug.. 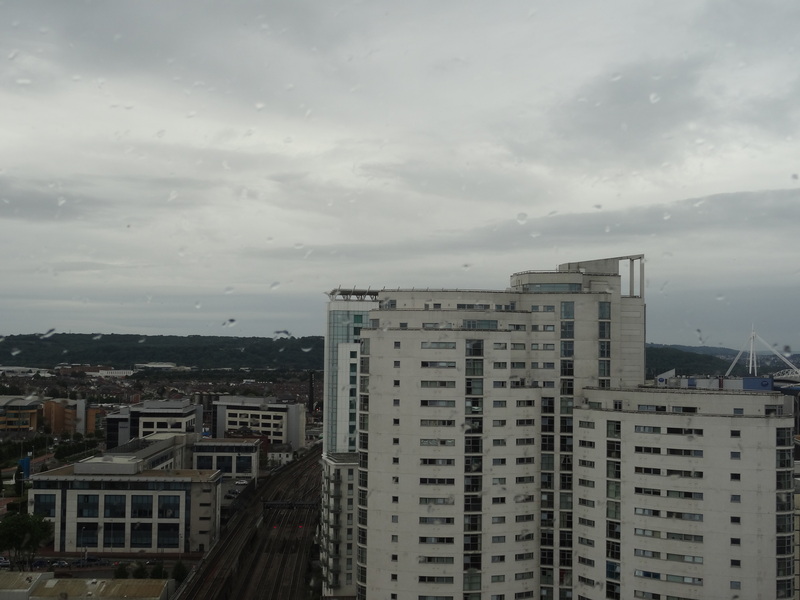 Although I wanted a darker, more dull shade on my nails – the weather turned for the worse. Coincidence? 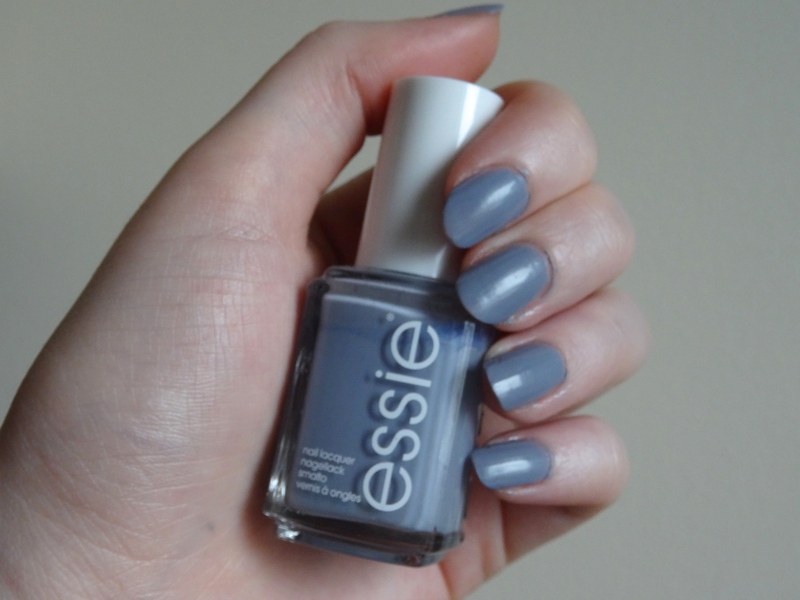 Hey, I live in Wales..
Have you tried any Essie Nail Varnishes before? What are your favourite shades? And have you ever purchased from Fragrance Direct or similar sites? Had to stop myself, need Mr Shark leggings and to go to the Harry Potter studios with you :p haha!